We Welcome you to the first ever issue of the 2019 "Queens With Hearts" Magazine. Meet our fantastic 2019 Team including the Elite Team of Sponsors, The incredible Ferial Youakim - Australian International Director and your 2019 Australian Team. Many people look at the things you have achieved over the years and say you’re lucky to be where you are today. While luck might have played some role in your life’s journey and the victories you have earned over the years, your mindset and determination are what allowed you to overcome your setbacks and find true success. No matter who you are or what you achieve in life, you have your own set of roadblocks to overcome if you would like to make your dreams a reality. The worst thing you can do is sit around and feel sorry for yourself because it won’t do any good. In fact, doing so will make it that much more difficult for you to escape from your situation, a path you don’t want to follow. It’s important to fight for the things you want to achieve in life if you would like any hope of reaching your goals, and it’s not as hard as a lot of people would like to think. Too many people focus on things that are outside their control and get stuck in a negative mindset as a result. Instead of using that approach, consider the things that are within your control. While reaching for your goals is important, don’t get so caught up in it that you forget to enjoy the moment. You only live once and must accept yourself as you are when your mission is to discover true joy. When you do that, you will find that life is much more enjoyable, and you can confront challenges with a smile on your face. You will experience small victories regardless of who you are. You will also face failures no matter how skilled you are and mastering yourself is about choosing to focus on the positive aspects of your life. When a setback pushes and tries to hold you down, don’t let it get the best of you. Instead of accepting defeat and giving up, you must bounce back and stand tall in the face of seemingly insurmountable odds. Bouncing back is easier said than done, but you get better with time and effort. You will soon learn that you are the master of your fate and control the direction in which you go. When you experience this profound realization and make it a way of life, you will understand you can achieve almost anything to which you set your mind. Take a few minutes to consider who you are and who you would like to be. Make sure you set goals for the right reasons, not because someone else thinks you should set them. Your next step is to implement a plan and celebrate each victory you earn along the way. This is just the beginning of your amazing journey…go and shine my angels. Competing in the international pageant gives you a chance to have your voice heard and make a difference in the world. Some people get into the pageant for the wrong reasons and have little hope of success. If you would like to reach your goals, ensure that you are in it for the right reasons, which is half the battle. It's vital you take charge of your journey and use a clear plan so that you have a sense of direction, and you should not have much trouble moving forward. Rather than focusing only on the crown, your goal is also to win the crowd. You must be personable and try connecting with them on a deep level to achieve that mission, and doing so is not as hard as you might think. One of the keys to victory is realizing that the pageant is about outer and inner beauty. So, let your personality shine, and don't be afraid of your flaws because everyone is only human. A common mistake people make is putting all their attention on the outcome they would like to achieve. While you want to get the best possible outcome, you can't let it consume your thoughts. You must remember that the journey is more important than the result. Each challenge you face along the way is a learning experience, and each setback makes your victory that much better in the end. The path on which you have embarked is your journey and destiny. You will always look back on these years with fond and loving memories. The pageant gives you an opportunity to make many friends and to have an impact on the community. You have been selected as a finalist, and your next task is proving to the judges that you are a worthy contestant. When you reflect on your time in the pageant, how do you want to remember yourself and the things you have done? You are shaping your future and the futures of each person you inspire along the way. Do you or anyone you know would like to join us on this journey? Don't delay; APPLY TODAY! BUT, keep in mind that we are not looking for the next TOP MODEL we are looking for the next ROLE MODEL. If this is you, we need you to join our international family. I have been involved in beauty pageants for many years and seen lots of people come and go during that time. Something that still concerns me is that a lot of people get into pageants because they want the glory that comes with wearing the crown, spending so much time looking to the future that they overlook the amazing things right in front of them. If that is why you started on this path, I invite you to take a step back and reconsider your goals so that you can get the most from the process. While anyone can go online and buy a crown without much effort, the crown is meaningless by itself. If the crown is the only thing you want, you are selling yourself short because you won't achieve the fulfillment for which you have been looking. No matter how it seems from the start, pageants are about the journey, not the destination. Paying too much attention to the destination stops you from getting the most from where you are right now, and you don't want to make that mistake because it will steal your happiness. This journey can help you discover who you are and the impact you want to leave behind. Even if you don’t see it from where you stand, you have the power to affect people in a profoundly positive way if you are willing to do so. You get the opportunity to help those who need advice, but you also have a chance to work with mentors who have walked the same path years ago. As a contestant, you serve as a role model for countless women from all backgrounds and walks of life, so consider the message you want to send to them and yourself. I invite you to take a few deep breaths and slow yourself down a bit. No matter the situation in which you have found yourself, look for the positive side if you would like to maintain your motivation over the long run. While losing is not always fun, each lose gives us perspective and keeps us humble. Each failure makes victory taste a little sweeter when we finally reach the goal we set from the beginning. If you take a minute to look in the mirror and ask why you have come here, you will find the answer as long as you are honest with yourself. Finally, winning a contest is enough to establish any woman as a role model to people of all backgrounds. The winners can use this status to inspire others to stand up for the things in which they believe and to chase their dreams. Even though we might have different motivating factors, we all share the vision of improving ourselves, each other and the world. If you believe you have what it takes to become our next queen? Don't delay; APPLY TODAY! BUT, keep in mind that we are not looking for the next TOP MODEL we are looking for the next ROLE MODEL. If this is you, we need you to join our international family. How many times have you questioned yourself how can I win the crown? You have exceeded all the qualifications, your interview went well, the interviewer seemed to like what you have to offer, and things seemed to go perfectly…you compete, and ace everything but you don’t understand why you did not win. You looked like a queen, you smiled, you researched and demonstrated that you knew the system inside out and you, stood out in a good way from competitors “sold yourself” …perfect package. BUT did not make the top 12 or win the crown. So, what was missing? What did you do wrong? How and why did the other candidate wins the crown and not you? What could she possibly have that you didn’t? Well, using the ‘3’ secrets to winning the crown, using your Head, Heart and Hands. They are the top fundamental strategies to wining the crown. Using your head to craft a solid plan, using your passion to inspire other to and using your hands to lead by example. If you are competing want to win the crown and have lasting success, keeping these 3 factors in mind is vital when it comes to reaching your goals. First, I want you to understand your true power and the role you play in the lives of others around you. Helping people by representing and believing in a system and a charity platform, you play a much bigger role than you likely realize. You assist people with enhancing their self-esteem and confidence, but you also give them a hand to move forward in their lives. The confidence people gain from watching you and following your journey will empowers them to form meaningful opportunities in everything they do. As a queen, you don't make people feel beautiful. Instead, you show them what beauty is, how to bring their natural beauty to the surface, and the changes you empower people to make are priceless. Whether you are working on wining the crown, having a vision is the first factor you must consider. Begin by assessing the situation with which you are dealing and considering the goals you would like to achieve. You will then craft a plan that moves you in the right direction, and you will know you are off to a good start. Your plan might change and evolve as you take action and learn what works and what does not. Even though using your head to create a viable strategy is essential, it's not enough on its own. Following your heart and finding your passion are the keys that will motivate and keep you on the correct path at all times. When you work with others, your passion will inspire them to share your vision, allowing you to change people's lives in a positive way. Getting people to take you seriously requires you to lead by example. If you want to earn the respect of those who come to you for advice and support, show them that you are willing to do everything you ask of them. Using your head to craft a solid plan, using your passion to inspire others and using your hands to lead by example are how you create the foundation for winning the crown. You will shine and thrive once you understand and implement these critical elements. Leading by example, helping others improve their lives are just a few of the things you can achieve, and you will be proud of what you can do. Our aim in this blog article is to inspire and empower women of all walks of life to reach their greatest potentials and shine. If you would like to join our International family, we would love to have you! We will guide you step by step and get you where you want to be. Taking application TODAY! Never Give-up Until You Reach Your Dreams! 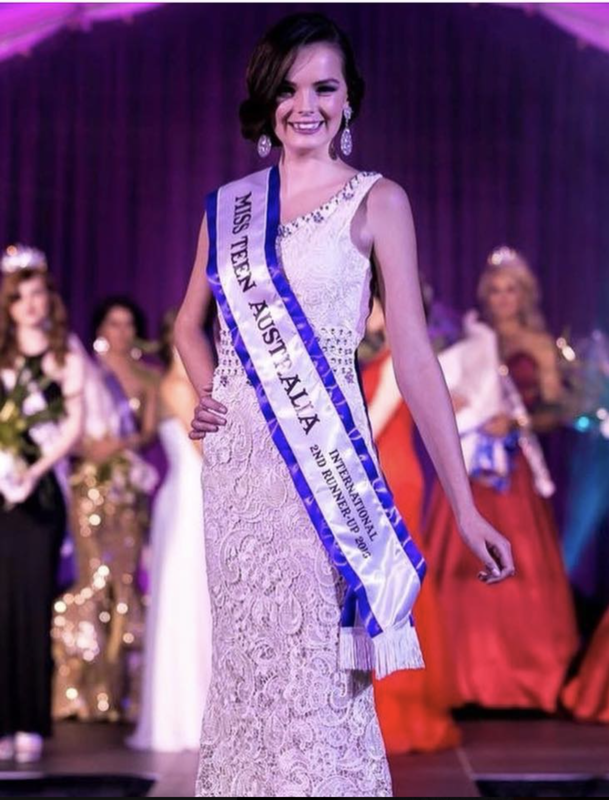 In November 2015, 15 year old Taylee Short started her journey with The Australian International Pageant where she competed for the 2016 title of Miss Teen Australia International. Taylee had a great experience with the pageant thanks to her fellow contestants, friendly judges and directors- to this day Taylee still has friends that she made competing with The Australian International Pageant. After placing 2nd runner up, Taylee moved on to other things after taking a short break and then competed within other pageant systems. But Taylee knew that her heart lied with The Australian International Pageant and made it her mission to one day return. Now, 18 year old Taylee has been named a finalist in the prestigious pageant once again, this time as a Miss Australia International contestant. Taylee’s experience with the pageant the first time around has played a big part in her return to the system. The amazing organization of the pageant finals and the friendliness and welcoming nature of all involved made Taylee comfortable and offered amazing experiences that she could never forget. 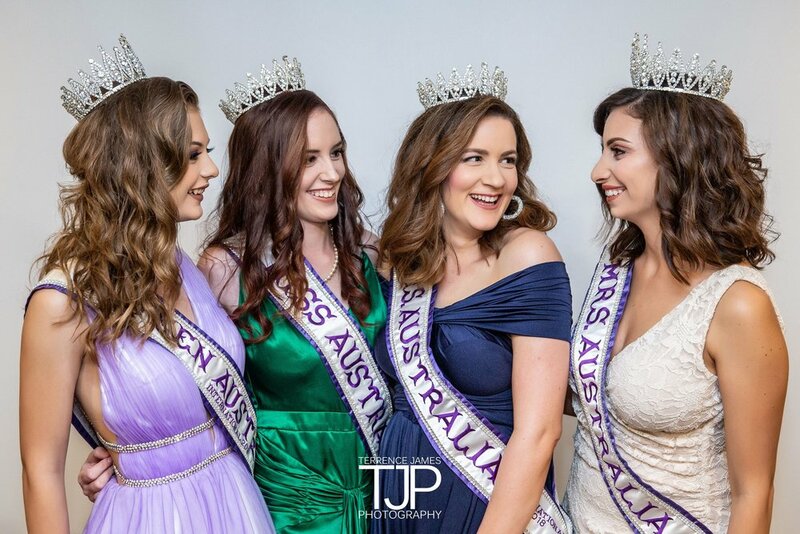 ‘I can say that the once shy 15 year old blossomed into an outgoing confident young lady all thanks to The Australian International Pageant’. Taylee believes that her knowledge of the pageant system and her grown maturity level since 2015 will help her out with her journey this year. Taylee has selected Bravehearts Australia as her platform and will also be active in her community attending events and volunteering, all while promoting The Australian International Pageant as a Miss Australia International, 2019 National Finalist. Taylee’s message to all is to never give up until you reach your goals. Thank you Taylee, it warms our hearts to see past contestant returns and try again. We wish Taylee all the best as she begins this new and exciting Journey in her life and we hope that she has what it takes to win the Miss Australia International 2019 Title. Do YOU have what it takes? Application are now open! An Inspiration to so many! Ruby Adamson's first International Trip began with the Australian International Pageant back in 2015 when she was only 15 years old. At such a young age Ruby never imagined she would be representing her beautiful country (Australia) in an International Pageant with girls from all around the world. This Experience was definitely a challenge for her but in the end she walked away with the Miss Congeniality award which no Australian have ever bought home before. "Winning the Miss Congeniality award was definitely a surprise for me especially when you take into account that there were 34 contestants in the Teen category alone and most of those contestants voted for me as the Congeniality Winner. I remember being up onstage with the beautiful contestants and my name being called for the award. So many of the girls gave me a hug some reached out to me with smiles on their faces and my best friend throughout the Pageant who was standing next to me started to tear up and gave me a big hug because she was so proud of my achievement. It was crazy that this all happened in the time between me coming to the front of the stage to accept my award and me walking back to my spot. I just loved that the girls decided then and there that they wanted to congratulate me." Ruby Said. 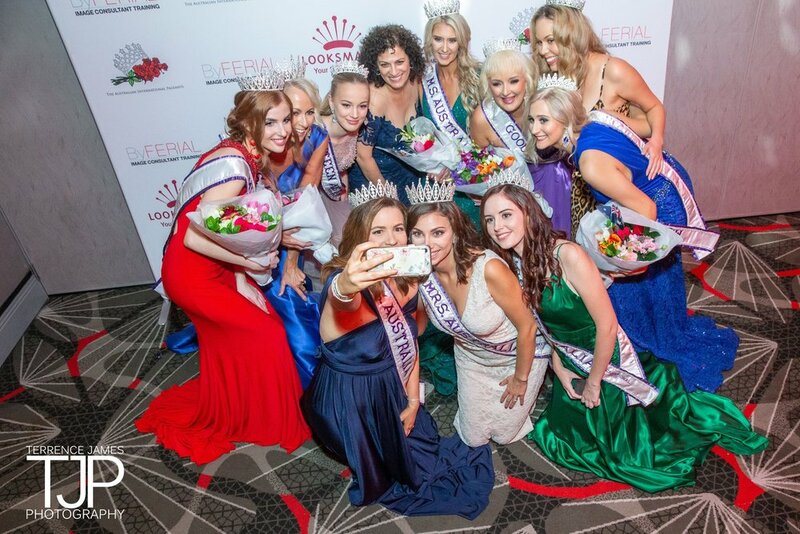 This Experience definitely is one to remember and after so many years Ruby was invited back to the 2018 Australian International Pageant to assist the National Director and the Contestants. Over the course of the 3 days Ruby saw a transformation in the Pageant and the girls which Ruby said was "Really Inspiring." After much thought Ruby decided she wanted to come back to this System that changed her life many years ago. Ruby has grown since the 2015 Pageant which means she now qualifies for The Miss Australia International Category. "For many years I have competed as a Teen so competing as a Miss is not going to be an easy task. So many of the Miss contestants have so much life experience and a lot of the time they don't have the support from their friends and family. I am so lucky due to the fact that my parents and peers are very supportive of me which really motivates me to do the best I can for not only them but the Australian International Pageant System." Ruby Said. Ruby will be using the National Finalist Title to get out and active within her Community in the hopes of raising awareness for her Platform, Down Syndrome Australia. We wish Ruby all the best as she begins this new and exciting Journey in her life and we hope she has what it takes to win the Miss Australia International 2019 Title. To Those Who Claim to Be Our Friends, Please Stop! Unfortunately, some people around us pretend to be our friends and to support the pageant, but they then go behind our back and try to discourage the contestants and fill their mind with negativity, they reach out to our contestants and tell them not to trust us, the system or what we say or do. From the surface, these people appear as good friends and strong Christians, but a closer look reveals the truth. Rather than trying to achieve something only for ourselves, our goal with the pageant has always been to serve as an example for those who want to reach their full potential and to improve their confidence. Our supporters know that we are here for them and that we will do what it takes to help them through the challenges they will face along the way. We still have trouble understanding how our fake friends feel the need to break others down and harm their self-image. Those people are quick to point out our flaws and the mistakes we have made along the way, feeling as though they are better than everyone else. Unless you are going to offer ideas and suggestions on how we and our contestants can improve, we ask you to stop. Over the years, we have come way too far to allow negative energy to hold us back, and giving up is not in our nature. What we do is about much more than just us; it's about helping people around the world see that they can achieve their goals and dreams with the right approach. No matter what negative people try to do or say, we will always fight and stand up for the values in which we believe. We work hard to improve lives and allow people to achieve their full potential, and we will never back down. Instead of trying to break and discourage these beautiful people, consider joining us and being a part of something bigger than yourself. Removing the negative energy can help you feel much better about yourself, and you can then help us give back to the community and world. If you have been following the pageant over the past few weeks or months, you will be pleased to learn that we are finally ready to officially announce the crown winners. We also want to include a quick reminder for ourselves and everyone else about the reason we host the pageant and what we aim to achieve by doing so. Rather than being about superficial, external beauty, our pageants focus on the best side of human nature, which is the desire to support and help those in need. Each of our contestants is a shining example of the positive traits we all aspire to obtain, such as courage, motivation and the ability to see the good in every person and situation. Out of 200 applicants, we were able to have eight incredible finalists, and let me tell you that it was not an easy choice. Together, our crown winners have raised more than $32,000 to support charities in which they believe, but that is not all. 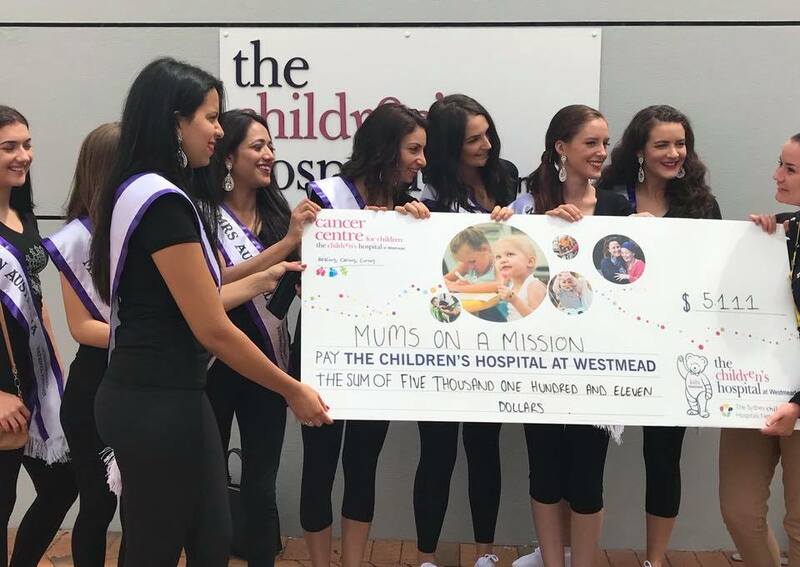 They have also raised over $5,000 for the Children's Hospital at Westmead, and every penny counts when it comes to helping children in need. Instead of thinking only of themselves, they used their time in the spotlight to make the world a better place for everyone, making them true queens with hearts. Our long-term goal is that our winners will continue to find ways to inspire people, and we hope their effort will encourage others to do the same. Chantal Togany Mrs. Australia 2018, you have worked hard and demonstrated unbreakable dedication to reaching your goals, and it has paid off. Renee Turner Ms. Australia 2018, you have competed in this year's competition, but you also strived to win the title last year, showing you are committed to supporting our vision and the values in which we believe. Cathrine Ayad Miss Australia 2018, your bold smile and charismatic joy were the first things we noticed when you stepped onto the stage for the first time, and you have earned your crown. Ceara Lewis Miss Teen Australia 2018, your beauty shines from within each time you stand up and show how much you care about the world and the people in it, serving as the perfect role model for your generation. Indyanna-Rose Ciccone Goodwill Ambassador 2018, you have become the youngest title winner in any industry, earning you a spot in the history books. As a 13-year-old, many people would have dismissed your voice and opinions, saying that they come from a mere child. Winning the crown has given you a voice to which people will now listen, and you have used it to benefit others. Your victory is not only a privilege, but it's also a responsibility. Young people around the world still live without basic human rights, and you can now speak for those who can't speak for themselves. In closing, we would also like to thank our judges, sponsors and followers for everything they have done for us. Our pageants are only possible because of the caring and supportive people who stand behind us each step of the way. Now that we have finished our current competition, all of us stand together and look for even more ways to serve others in the future, and we hope you will come along for the ride. When they picture a pageant, most people think of standing in front of an audience and winning a prize. But failing to look at these events as a whole and what it takes to compete in one will only give you a limited perspective. If you want to take a look at the deeper meaning and the true benefits of competing in a pageant, you are in the right place. You will soon discover that each woman who steps onto the stage has her own reasons for doing so and that the goal is much larger than some people would suspect. Although winning is the aim and feels fantastic, it's far from the only reason to compete in a pageant. A lot of women suffer from low self-esteem, and it can cause lasting damage if they don't address it. How you feel about yourself when you look in the mirror is more important than what anyone else thinks, and stepping onto that stage goes a long way when it comes to helping women of all ages to gain confidence. Because beauty is subjective, it's vital for every person to find and be proud of what she has to offer. 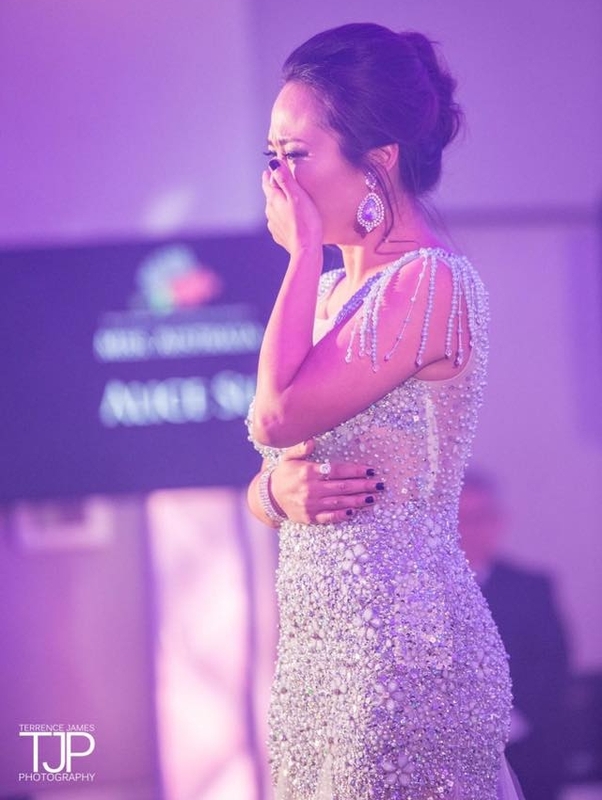 Competing in a pageant inspires a range of emotions and is not always an easy task. The hope of winning, the fear of being judged and the disappointment of losing creates emotions that impact almost all of us. After putting in the hard work to prepare for a pageant, the thrill of winning generates feelings of exhilaration and accomplishment. Dealing with the highs and lows of a competition will help women develop emotional dexterity, letting them know that they can face anything that life throws at them. This year I hoped I would be able to give my son a sibling. However when I learnt that it was not going to happen in my timing, I was reminded that everything happens for a reason and that God has bigger plans. In that moment, I applied to the Australian International pageant as it supports married women who want to make a difference and give back to an organisation. As a successful entrant, I became a Mrs. Australia 2018 National Finalist. I choose my platform Act for Kids, as it helps prevent and treat child abuse within Australia, giving children back their childhood. During my time as a National finalist, Act for Kids have made me their first Victorian Ambassador. With this title, I hope to use my skills and knowledge as not only a mum but a business woman to help create change and educate people on what Act for Kids does. Dr. Neil Carrington, CEO of Act for Kids (left), April Wilkinson, VIC State Manager (middle), Karen McIntyre, Fundraising Coordinator (right). This journey has and continues to lead me to great opportunities that would not have presented themselves if I didn’t enter the Australian International Pageant. I believe that the pageant has created a platform to help women like myself grab opportunities to give back and make a difference. It's amusing how many people get excited, apply to compete in a pageant and talk about how dedicated they are to getting the most from the experience. Even though they appear to have motivation at the start, only a few make it to the finals. Most of the ones who make it to the finals drop like flies once they realize how much work it takes to win the crown. These contestants only compete because they want the glory that comes with winning the crown. They want to feel the pride that comes when they walk across the stage in front of an adoring audience. When these people picture a pageant in their minds, they only think of what they can get out of it, but they don't stop to consider the amount of work they will need to do. “A winner isn’t chosen from a group of representatives. A representative is chosen from a group of winners," said Kate Johnson, the winner of Mrs. Australia 2014. In other words, those who would like to win need to have the right attitude if they want any hope of reaching their goal. Being a winner is about much more than just earning a title at the end of a pageant. Being a winner is a state of mind and the perspective that anything is possible with enough dedication and commitment. If a contestant wants to win and to stand out from the rest in a powerful way, the contestant must be willing to work harder than everyone else. No matter what they try, nothing compares to setting a goal and doing what it takes to reach the desired outcome. While contestants must put in a lot of effort to make it to the finals, the struggle makes winning feel much better, and those who last until the end learn the rewards of hard work along the way. The values that contestants learn during the journey will help them find success in all areas of life. Passion and commitment are just a few of the traits that they will gain when they keep their eye on the prize and refuse to give up. We are not looking for the next TOP MODEL we are looking for the next ROLE MODEL. If this is you, we need you to join our international family. If you believe you have what it takes to become our next queen? Don't delay; APPLY TODAY! If you are going to participate in a pageant and want to get the most from the experience, having a few tips near the front of your mind will give you the best results. Many people prefer writing the tips down and studying them so that they won’t forget, and doing so is a smart move. Even if you have performed in pageants in the past and know what you are doing, reviewing the basics never hurts. When it's your turn to step onto the runway, your posture is an important element that you will never want to overlook. The way you carry yourself will reveal how you feel on the inside, so you must send the right message. Using correct posture will show everyone that you are confident and comfortable with yourself, which is a powerful way to make an impression. As soon as you enter the spotlight, ensure that your back and neck are straight at all times. If you want to master your posture so that you won't even need to think about it, make an effort to walk tall when you are off the stage. When you are ready to show your talent to the judges and audience, don't forget to pay attention to your feet and the direction in which you point them. In most cases, you must point them straight ahead, allowing you to walk with a sense of purpose. Some contestants will get nervous and keep their hips tight while they are on the stage without realizing it. Other people will move their hips with a forced swing, but your goal is to find the right balance. Consider how your hips naturally sway when you are not in the spotlight, and you will have a clear picture of what to do. As far as your arms are concerned, relax and keep them straight at your side to avoid unnecessary swinging. If you feel uncomfortable with your arms and are unsure of yourself, remember that it's a natural part of the process and that you will get used to it with practice. When you get to the end of the runway and are ready to pose, make sure that you don't move too fast. You will need to stop for a few seconds and put most of your weight on one leg. Taking advantage of these points will allow you to hit the runway with confidence because you will know how to present yourself in a way that highlights your natural beauty. If you are new and have trouble following every step during the show, don't be too hard on yourself. You will improve each time you walk down the runway in front of the audience. If you would like to craft a winning image that will turn heads and grab attention, follow this simple 7-step guide. Before you do anything else, knowing yourself and your personality is vital and will empower you to find an image that highlights your traits. The colors that you choose should not only match each other, but they must also compliment your skin, hair and eyes. Using the right combination of colors and design, you can draw attention to areas of your body that you want to highlight. Selecting the right fabric will set the mood for you and the people you encounter throughout the day, so you will need to put some thought into your decision. Silk and cashmere have a touch of elegance, but velvet is much more feminine. If you want to have a sporty look, denim is what you will need, and lace will send a romantic vibe. Those who want to have a strong and assertive appearance can opt for more structured garments. There are three surfaces you need to consider. Matt surface is great for low-contrast people, but you should use sheen if you have a medium contrast. Shine is the perfect option for people with high contrast between their hair, eyes and skin. Since everything you wear speaks about your personality, mood, taste and more, put a lot of thought into each fashion choice you make. When your goal is to put together an attractive and captivating look, taking proportion into account is a vital element that will play a big role in your results, and calculated contrast can work wonders. You can, for example, mix warm and cool colors or a slim top with a full bottom, and you will be happy with the way you look. A winning image is like a puzzle. You need to consider the 7 steps formula in order to have a defined image. Every step that you take counts and will contribute to your winning image. If you have entered a pageant and want to win, you are likely wondering what you can do so that you will achieve your goal and stand out from the rest. While many factors will play a role in the outcome that you can expect, learning to focus is the No. 1 secret to winning your next pageant or any competition that you enter. You will need to focus on why you want to win, on your competitors and on beating yourself. You need to invest a lot of time and energy to prepare for any competition, and you could feel tempted not to put in your best effort when you are tired. While skipping one meeting or a rehearsal won't make much of a difference, getting into the habit of not staying on track will harm your odds of winning. To maintain your motivation, focus on the reasons that you want to win and how you will feel when you do. When you want to go home early to relax or spend time with your friends, keep your competitors at the front of your mind. You will not get far if you go home and rest while they are striving to, choose the perfect combination of outfits and makeup or working on their charity platform. Acknowledging that your competitors are likely going the extra mile will give you the needed boost to keep pushing yourself forward, and you will know that you are moving in the right direction. While you will face many competitors in your life, the most important person to beat is the person you were yesterday. You need to consider the amount of knowledge, skill and dedication that you had in the past and compare it to where you are now. In other words, your main objective should be to improve yourself a little bit each day. Gradually enhancing your abilities will lead to a sense of fulfillment and satisfaction that will make you feel thrilled about your life and where you are headed. The No1. Secret for wining the next competition is to take a stand and fight for the things that matter to you. Every step that you take counts and will contribute to your mission, so never underestimate your power to impact the world. Why giving back is important to me. As a Mrs. Australia 2018 national finalist, I have been reminded of the significance of why giving back is important. I pray that I never become immune to what is happening around me and thinking that someone else will take care of it. Giving back in the community keeps me connected to the real issues of our world. It gives me the opportunity to do something about what breaks my heart. As a wife, mother, business owner and community leader, I believe giving back continues to help me develop new skills. Since being selected as a Mrs. Australia finalist, I’ve been challenged to create opportunity to step up and step out of my comfort zone to connect and approach businesses that I usually wouldn’t have. I have learnt new communicational skills that have better developed me in moving forward to achieve my goals. The more I continue to fundraise for my platform- Act For Kids, I learn more about my self as a person. My mission in life is to always keep sowing in different ways. I believe we create opportunity and opportunity comes as we give back. Our actions, no matter how big or small, we can always be doing our part to make a difference. As a Mrs. Australia national finalist along with all my other roles in life, I am honored to be an example to my child, my community and my country. We never know who is watching us and who we are inspiring. Giving back in whatever shape or form is an opportunity to be an example and inspire those around us. To be an example and hoping that someone else will give back and make a difference is easy, but we have enough bystanders. What we need are people who care enough to take a stand and fight for the things that matter to them. Every step that you take counts and will contribute to your mission, so never underestimate your power to impact the world. My name is Sophia. I am a national finalist of the Australian International Pageants ‘why giving back. I believe giving back means we care about each other’s. We are there to support and love who ever needed. It builds a strong relationship with each others, strong relationships builds a strong community, a strong community builds a strong city then strong country and of course strong world. So I believe giving back can bring smiles happiness and unity and love in the whole world. It connects us with each other’s that’s what we need as human. As human we can’t live in isolation. That is one of the biggest reasons for depression in this world. Everyone is so busy in their own life that they don’t know or care what is going on in next door neighbours. We are getting g that bad that we even don’t know our next door neighbours name. I noticed even if some people try to make an effort to communicate the response comes that we ae very busy. I remember in my childhood growing up in India. At some places and some areas not everywhere people use exchange food or anything special they cooked even by talking over the fence. I remember in villages I have noticed neighbours use to have a hole in their wall purposely to communicate or to show love that we are always here for each other’s. They could go to anyone’s houses anytime felt like they are part of them and we are all a one family. So you always felt like a part of community. I don’t think so that time there would be very high rate of depression or anxiety. So when we say giving back it doesn’t mean giving back money only. Yes money helps certain ways but giving back love your support moral support is the biggest thing we can give it to someone. Unfortunately today’s world we need more and more positive, confident, happy and content people to bring peace and happiness in this world. Looking at current events and hoping that someone else will give back and make a difference is easy, but we have enough bystanders. What we need are people who care enough to take a stand and fight for the things that matter to them. Every step that you take counts and will contribute to your mission, so never underestimate your power to impact the world. I’ve always been the type of person to have many dreams and goals, but never follow through with them. I would attempt the dream or goal with all the determination to succeed, but soon after the interest would fade. It either felt too hard or I would get bored. The negativity from the peers around me didn’t help as they would have me fail or give up. I first embarked on this journey with The Australian international Pageants in April 2016, this time it was different. This was shortly after ending an unhealthy relationship and moving on to a new city. I saw an opportunity for a chance to change and I took it. Out of all the opportunities I was given, this gave me the strength to step out of my comfort zone and to an area of success that I have never felt. I was beginning to step out from behind other people’s shadows and stepping in front of my own. And it was because of this new strength I stopped seeking approval of others. The 6-month journey as a Ms Australia contestant was tough. It had a lot of up’s and downs and many times I wanted to quit. There were many times that I cried and told myself “You can’t do this, just give up”, but I always overcame it by looking how far I had come already and the support I had. For someone who had always been bound to fail I had made quite a few achievements. There were times of disappointment through my efforts with the pageant requirements (Charity fundraising) as I felt I didn’t work hard enough to for fill them. But I pushed myself, I continued to strive on the ability to change and the courage to make a difference. Even with these emotions I did enjoy the experience and so much I continued to see it through till the end. To succeed in something was what I wanted more than anything; I wanted to do better, to be better than I was. But at that point I didn’t realise how it was making me feel. At this point, only a couple of weeks away from my big moment, I began to feel lonely. I only had a handful of friends that surrounded me. I wasn’t happy in my job and the location I was living in. I did everything to my ability to do what I could to reach the requirements needed and for filled many incredible achievements. But part of me wanted more. I wanted to be with my family, and to live in a city I’ve always dreamt of. So, with an impulse decision I decided to pack all my stuff in my car and make a move to my favorited city in Australia. Melbourne. Finally, the big day arrived. I made it to The Australian International Pageant national finals. What a feeling right? Over the next four days, I met some truly incredible people, many wonderful inspiring young women who were all there for the same reason as me. Partaking in the courses and lessons that would change my outlook on not just myself, but what I surround myself with every day. Safe to say I was the happiest I have ever felt. I shared a moment with one of the pageant volunteers. She was a councillor who encouraged woman to be empowering and strong. To stand above all and be who you truly are. At that point I felt a sense of anxiety, the pressure I put on myself started to feel heavy. She told me to let it all go, so I did. I released the pressure and told myself that at the end of the day it didn’t matter if I won, what mattered was I was there achieving a great dream, which to my excitement, walking away with the incredible opportunity of placing first runner up. It’s hard to say that everyone will get the same experience, because you get out what you put in. To me, I got what I didn’t expect. An understanding of myself, who I really am as a person, my ability to build strength and the courage to change. I walked away with an incredible life changing experience and made so many lifelong friends. Since this experience I have accomplished more than I could ever imagine, I reached goals I never thought possible, and even though I have many downs, I kept my head high with happiness proud of the success I had made and will continue to succeed. I have decided to embark on this incredible journey again. Hoping to encourage young woman to not only be a part of this life changing experience, but to go on a journey of self-discovery and empowerment. This is my second chance as change and it could be yours too. Looking at current events and hoping that someone else will come in and make a difference is easy, but we have enough bystanders. What we need are people who care enough to take a stand and fight for the things that matter to them. Every step that you take counts and will contribute to your mission, so never underestimate your power to impact the world. 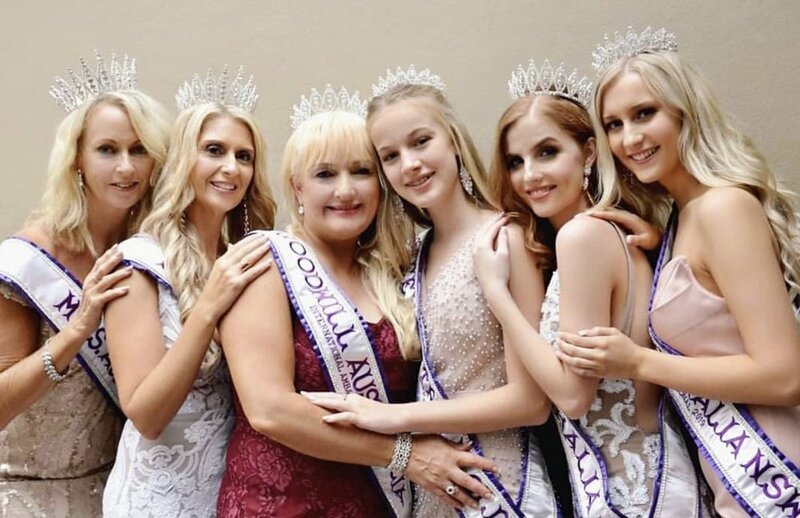 The board at the Australian International Pageant has heard the voice of potential contestants and has waived the cost of registration fee $399 to allow as many people to participate as possible. The decision is a reflection of our goal of serving as positive role models and being as inclusive as possible. We hope that this will encourage more people to join us and to support our mission. The aim is to encourage people to help each other and to accept themselves for who they are, and we are proud to say that we have come a long way. Since we believe in offering a high level of transparency, we want our contestants to know how we use their registration fee. Rather than using the money to pay our members, we use it to support our operational costs. Our team consists of passionate individuals who volunteer their time because they want to make the world a better place for everyone. Without the registration fee, we would not be able to work toward our vision, so we would like to thank all of our contestants for helping us fund the Australian International Pageant. We can work together to allow people from all backgrounds and walks of life to be a part of something much larger than themselves, and we are excited about what the future holds. When members pay the $99 fee, it will cover some of the costs that we accrued for your finalists journey. Also, those who have previously participated in the Australian International Pageant will have their registration fee waived, which is our way of showing appreciation for the people who have supported us in the past. We are hosting our next competition from Feb. 19-22, 2018. Many people are expected to show up and to have a great time, and we hope to see you there. Since our slots are filling up quickly, those who want to join us should Take Action right away so that they won’t miss their chance. Almost everyone has the desire to fit in with the group and to gain approval, but wanting to be liked is not the issue. The problem is that people tend to give up parts of themselves in a failed attempt to please everyone around them. If you can relate to this situation and want to do something about it, this post will help. You will learn that you don't need to please everyone and that being yourself will lead to a much more fulfilling life. When you go out of your way to please others, most people will know what you are doing but won't say anything. Hiding your true opinions and refusing to stand up for yourself will make others view you as dishonest, and they won't be able to trust you. Putting the thoughts and opinions of others before your own sends the message that your perspective does not matter, and following this path will slowly destroy your confidence and self-esteem. The change will happen so gradually that you won't even notice the problem until the damage has been done. No matter how hard you try, you won't be able to please everyone you meet. People have different opinions and things for which they look in friendships and romantic relationships. In fact, trying to alter yourself for the sake of other people will turn away those who would like you because of your real personality. You might think that hiding your true self to make others happy does not bother you, but you can't keep the act up forever. If you try to remain on the same path, you will become resentful of the people you are trying to please, thinking that they are to blame. If you have put the needs of other people above your own for a long time, making a change won't happen overnight, but you can take small steps in the right direction. Learn to refuse requests when you don't want to fulfill them, and you will be off to a good start. Respectfully disagree with others in conversations to learn how to assert yourself, and you will be moving along the correct path in no time. Be authentic and stop comparing yourself with others. Strive to be the best that you could be - Claim it, Own it and Be it!